Below are the new series and miniseries I’m looking forward to seeing at my local comic store the week of week of July 25, 2018. Why I’m Excited: Given that The Next Generation was Star Trek series that never went to the mirror universe in episodes, when the first Tipton mini hit last year, I devoured it. 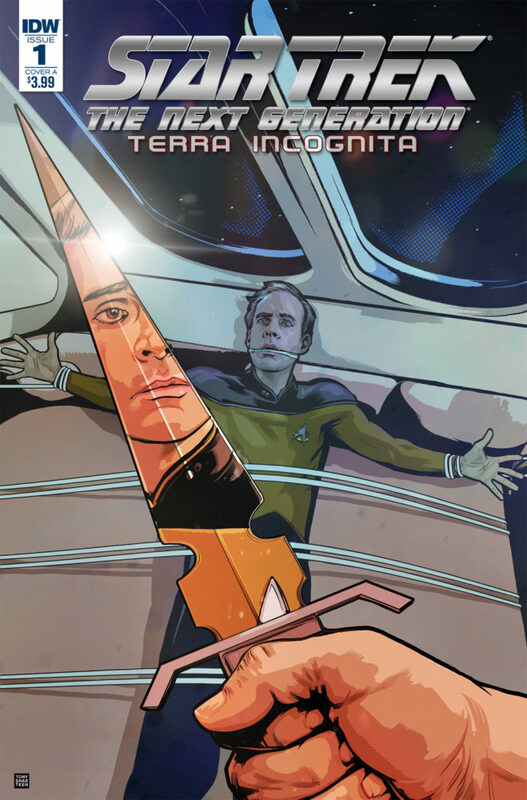 The authors have the Next Gen voices down (slightly tweaked, for the mirror universe), and the focus here on Barclay makes me think that there might be a place for a schmuck me on the Enterprise. 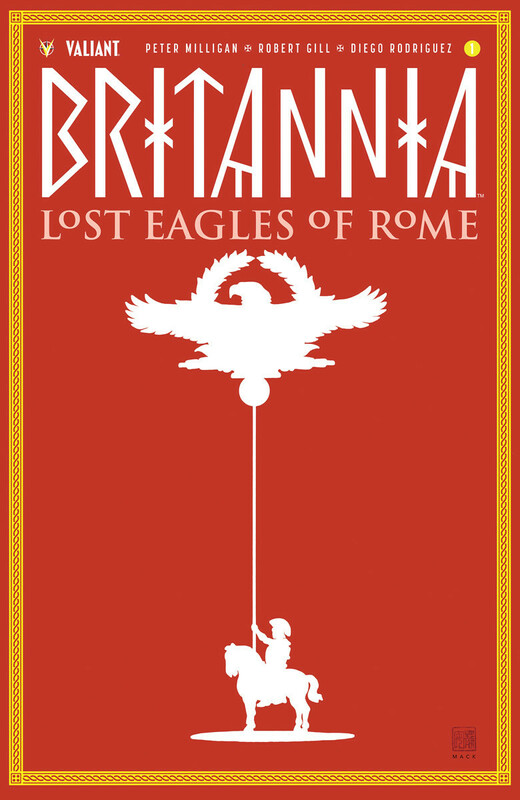 Why I’m Excited: I have loved the two prior Britannia series, not only for the art but for the attention to the cultural details of the Roman Empire. Writer Peter Milligan has melded the tones of Ghost Hunters and Game of Thrones: equal parts spooky and thrilling. And I have previously come away knowing the more about this early civilization than I realized I wanted to know. Fun and surprisingly educational. 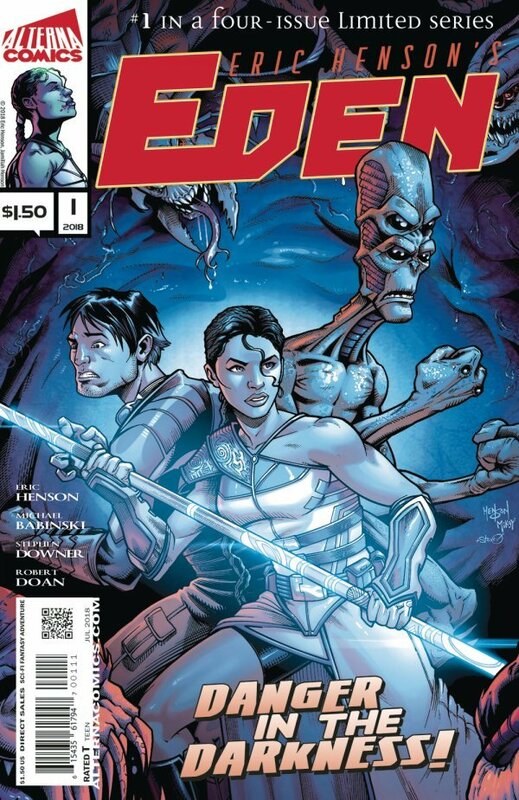 Eden looks to be the type of story that would have been started on ’80s TV as a movie of the week; if the ratings were good, there may have been a half-season pick up. Approaching comics like a TV season can allow creators to get hands around a story, to both tighten the narrative—no mysteries of what’s behind those doors (see: New Avengers #26), never revisited—and to allow the characters noticeable growth—better if the toys don’t need to go back on the corporate shelf. I really like that comics are exploring new ways to tell stories, and they can could take a point from some of Netflix’s shows and even vary the length of some episodes (chapters) to assure pace and tone don’t fall victim to commercial or trade-paperback required breaks. My predictions is that ultimately the experimentation will result in a new golden age. While the market moves, so will the stories; it’s an exciting time to be enjoying this medium. “This coming of age crime story takes place in a small Florida town at the height of the ’80s. When the head of the Cardini Mob Family mysteriously dies, his three illegitimate children each inherit a store in the mall. While the stores front as legal businesses, the real money is the back room. 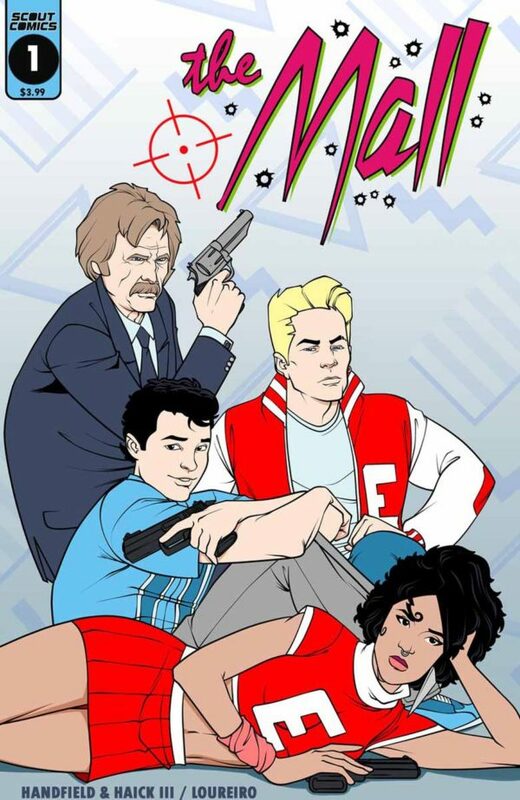 The kids are thrust into a world of crime, all the while just trying to survive normal high school life. It’s like a John Hughes Godfather movie. Why I’m Excited: I bet you’re wondering, “What world is this returning to?” As a kid of the ’80s and someone from Minnesota, home of both the first indoor mall and the former largest shopping center in the world, I feel like I spent more time in food courts as a teen than I did awake in my own house. I still laugh at Mall Rats, and I may be overly fond John Hughes (Career Opportunities on DVD, anyone?). So my attraction to The Mall is pure nostalgia. The cover pays homage to The Breakfast Club, and I will give it a try just for that. If you pick up any of these comics this week, let me know your thoughts. The Mall sounds really interesting. Definitely adding to my list. My pre-orders ship this week. I’m excited to have a chance to read it.